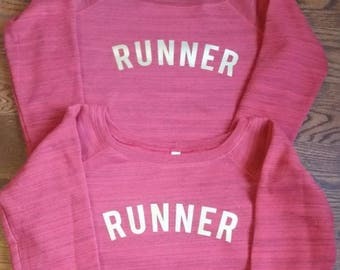 Running Partners Running Tee. This listing is for one item only. If you would like both items pictured here you need to add two items to your cart. Add the first color and size for one shirt then go back to the listing and add the second color and size to your cart. The images will be side by side in white ink as shown. If you want a different print color or a different image please request a custom order as additional art charges may apply. PLEASE CHECK SIZING CHART CAREFULLY AND MEASURE AGAINST SOMETHING YOU OWN AS WE DO NOT ACCEPT RETURNS OR EXCHANGES. 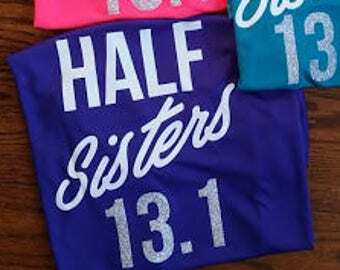 EACH SHIRT IS CUSTOM MADE TO ORDER. THESE HAVE A SLIGHTLY GENEROUS FIT SO IF YOU PREFER A FORM FITTING SHIRT YOU MAY WANT TO SIZE DOWN. 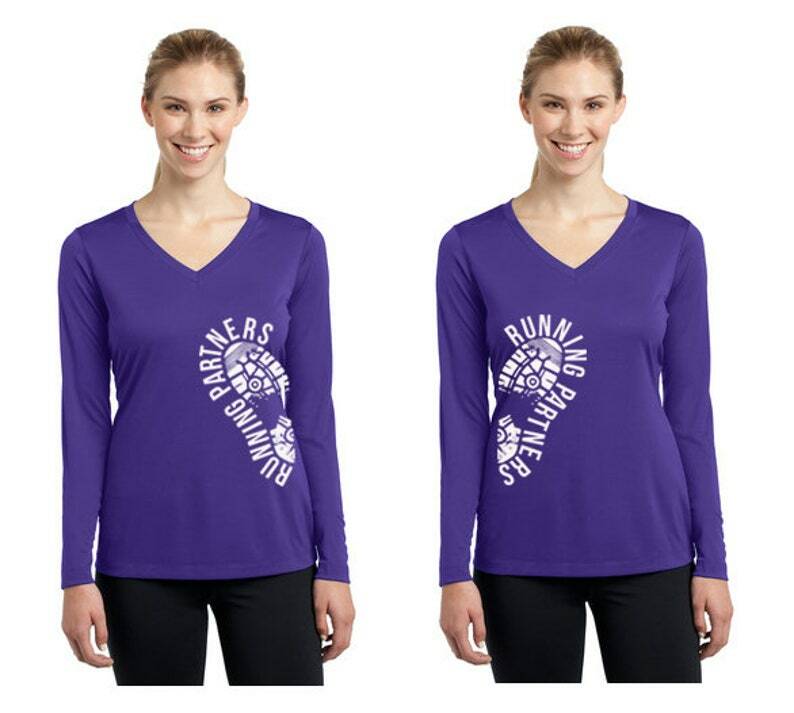 Lightweight, roomy and highly breathable, moisture wicking tees run a tad large.